There is a carpark round the back of the building and also parking on Moss Lane. We are on the 135 bus route. Get on/off bus at Slattery's. We offer 3 party packages for group bookings. Please email hola@campoblanco.co.uk for more information. We have a large upstairs area where we can cater for parties of all sizes up to 40 people. 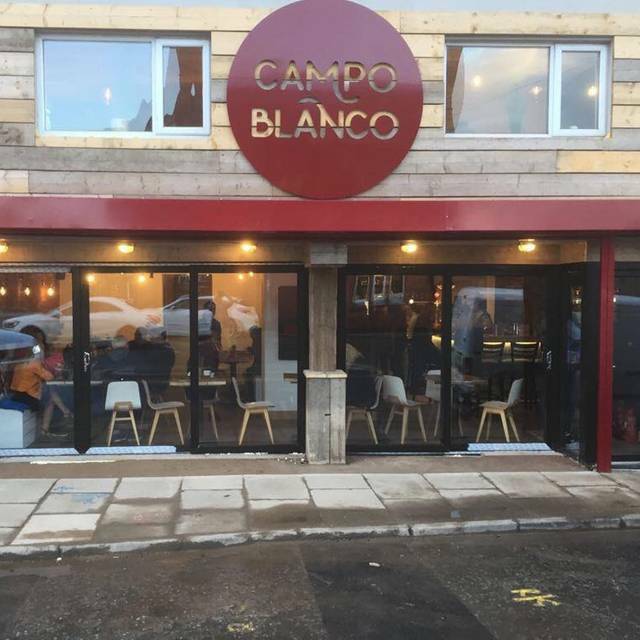 Campo Blanco is a Tapas Bar & Restaurant in Whitefield, North Manchester. We are passionate about great, friendly service and creating a place where you can come on any occasion to sit back, relax and enjoy the atmosphere, food and drinks we offer. The name is translated from Spanish, “Campo” meaning “field” and “blanco” meaning “white”. 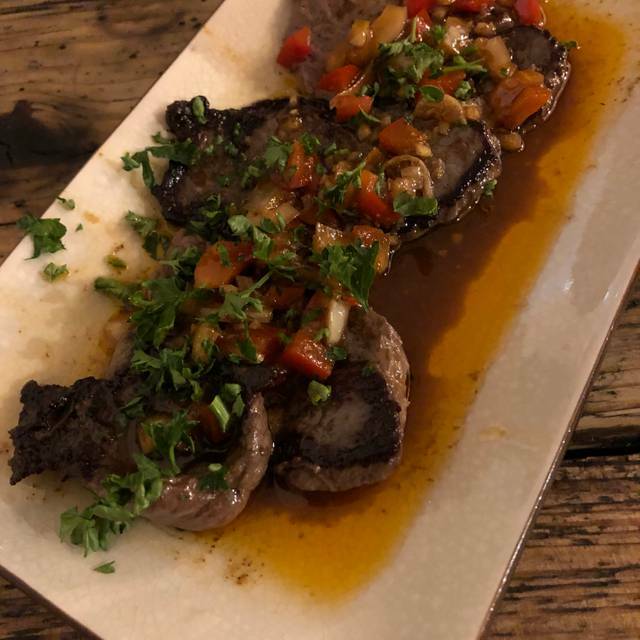 We offer a mix of traditional and modern Spanish style tapas with over 30 dishes on the menu. Our drinks menu is carefully selected and contains a range of Spanish beers, wines & spirits. We also offer an extensive cocktail menu. Open from 4pm on Wednesdays and Thursday and from 12pm on Friday, Saturdays and Sundays. The menu includes vegan, gluten free and also lots of healthy options. Bookings are advised during busy periods, but walk ins are welcome. We also have a bar area so feel free to just pop in for a drink! Again another fab meal at Campo as always. Staff are attentive and friendly. Great evening and our second time at Campo Blanco We tried more of the dishes and loved every one of them. I’m vegetarian so to find somewhere with such a good range of choices is wonderful. This is already a favourite place. One of the few good local eateries in Whitefield. We return to Campo Blanco at least twice a month. 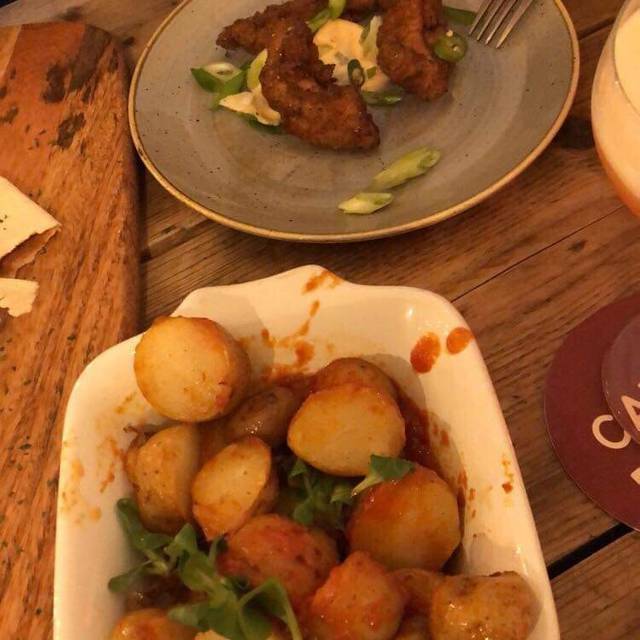 Great food, great cocktails, it feels like you’re on holiday and it’s walking distance or a £2.50 cab ride from home. What’s it to like? Fabulous decor and Spanish music !! Great selection of food, Spanish wine's and beers !! Food and wine was gorgeous !!! Have been to Campo Blanco several times and have always enjoyed the experience very much. The food is very tasty, especially the albodigas and pork belly. Although I don't think hummus should be included on the menu! The atmosphere is relaxed and the staff are very friendly. 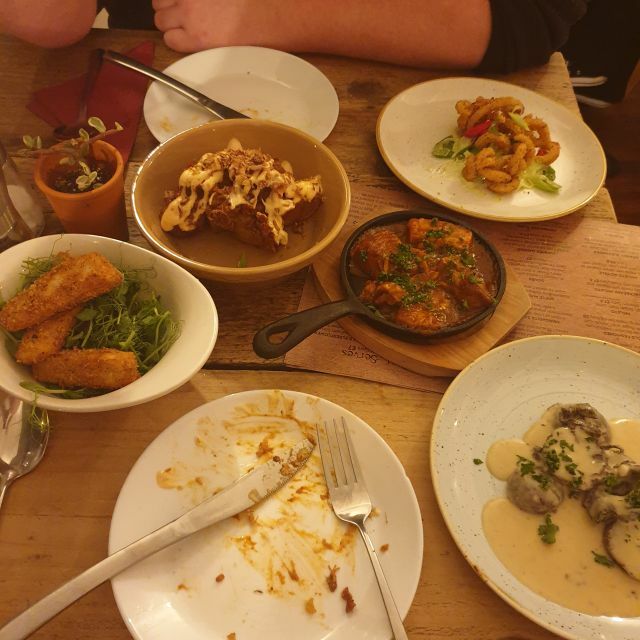 My partner and I really enjoyed our meal, great tapas, excellent service and a really nice atmosphere about the place. It was our first time eating here and we will return for sure. First visit to this relatively new Tapas Bar & Restaurant in Whitefield, most certainly will not be the last though. Great food (good portion sizes) and drinks to be had, nice varied authentic Spanish Tapas menu. Look forward to going again. Lovely impromptu meal. Staff very attentive and food was excellent. Would definitely re-visit and recommend to friends and family. We thoroughly enjoyed the experience and the friendly staff who were very helpful and made the night for the four of us excellent, we will definitely return. Excellent food and efficient friendly service. Great atmosphere too! Highly recommended. Great service (from the owner herself!). Great food, good wine. Lovely evening. the food and service is great! would definitely recommend! Had a fantastic evening here. We ordered what we thought we could eat and the owner came out and told he would recommend less dishes! Appreciated that he took the time to speak to us. All the food was delicious and the sangria very good! Would definitely recommend. Only (very) small issue was the music was too loud where we were sat, but it was sorted out quickly after speaking with our waitress. A great addition to the other restaurants we have in Prestwich and Whitefield. Make sure you go! The selection of tapas dishes is reasonable to good with something for everybody there. The staff are very friendly helpful and the service is also very good. Decent selection of wines at good value prices, so all in all a good dining experience. 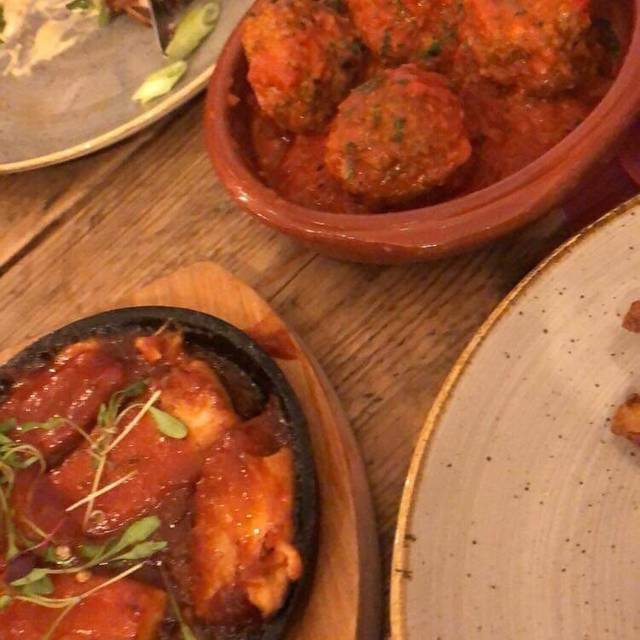 Would recommend the meat and golden barley meatballs and fish bites in particular. Lovely food in a great looking restaurant. Would highly recommend it. Food all came together very quickly. Mussels and calamari over cooked but don’t know if that’s because we where down stairs and the kitchen is upstairs, deserts very average. 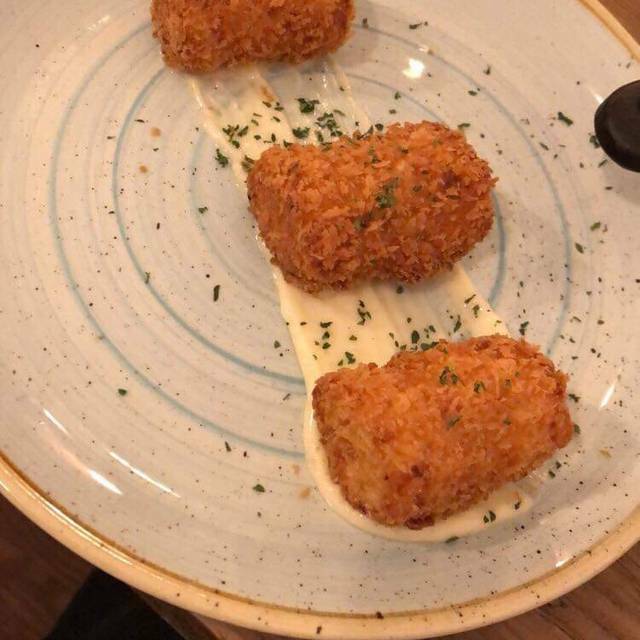 The best tapas food I’ve had ....from England anyway! Made my Mother’s Day perfect, will definitely return and recommend to my friends and family. I didn’t have a dessert but my girls ordered a chocolate sundae and it looked delicious with great big pieces of chocolate. The coffee and liquors also lovely . This is a lovely place, the owners are very friendly. We sat upstairs and the tables were a little too close together, the noise level was quite loud as there were lots of full tables . One of the waiting on staff was just a little over attentive and she asked if everything was ok at least five times! The food was lovely and I would definitely eat there again. Excellent choice for Mother’s Day. Food was superb . Could not fault anything. All the restaurant was busy service was exceptional & staff were very attentive. Would strongly recommend . Food was amazing. My girlfriend and I loved the food and drink. Herrljunga apple cider was amazing she said. The beer is top notch. My 2nd time going and loved it still, my girlfriend's 1st and she will no doubt go again (hopefully with me haha!). I'd only suggest candles in middle of the tables. There were some on few tables, but not ours and that would have made the ambience 5star. Would recommend without hesitation. 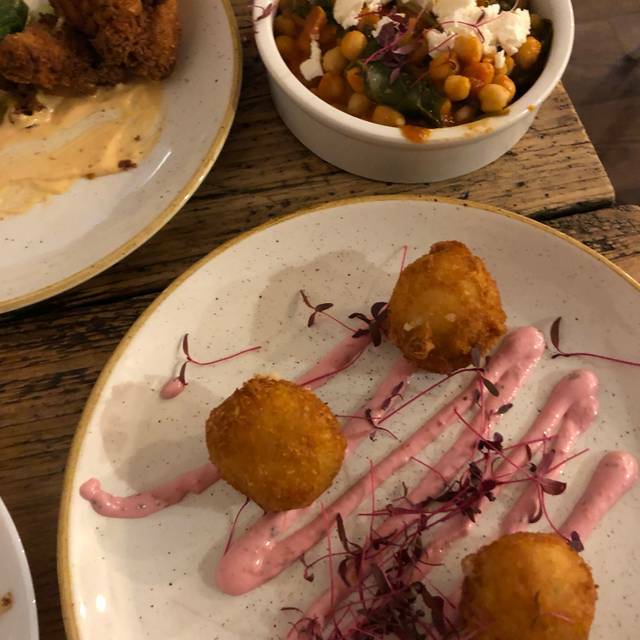 The food was beautiful and the staff were so welcoming and friendly, even making the time to talk to me when my friends were late, I’m already planning my next visit! The food was very good the service was excellent. Excellent food, everything was fresh and tasty. Service was great, really friendly staff. We were seated in the speak easy area at the back of the restaurant, this area is very relaxed and quite unique. Booking is essential. Had a great meal. The staff were very accommodating as we had our 3 month old in the pram. They were also very attentive and we never had to wait long before seeing someone. Food was delicious, wine was amazing. All round fab evening. An excellent way to spend an afternoon. Will definitely walk there next time so we can have alcohol, although we did enjoy our mocktails . Slightly disappointed with the desserts but this will not stop us returning. Lovely food, great ambience, had a great evening. Just be aware kitchens stop serving at 9.50pm so don't leave it late. We booked a table 3 days before as the restaurant gets busy. It was busy when we arrived but we were seated straightaway. The service was attentive and friendly, the orders were correctly fulfilled and quickly. The food was a good variety and excellent in quality. This is what I would regard as a little gem. It's a lovely place great service fantastic food and a comfortable place to sit and enjoy a lovely meal in great surroundings. 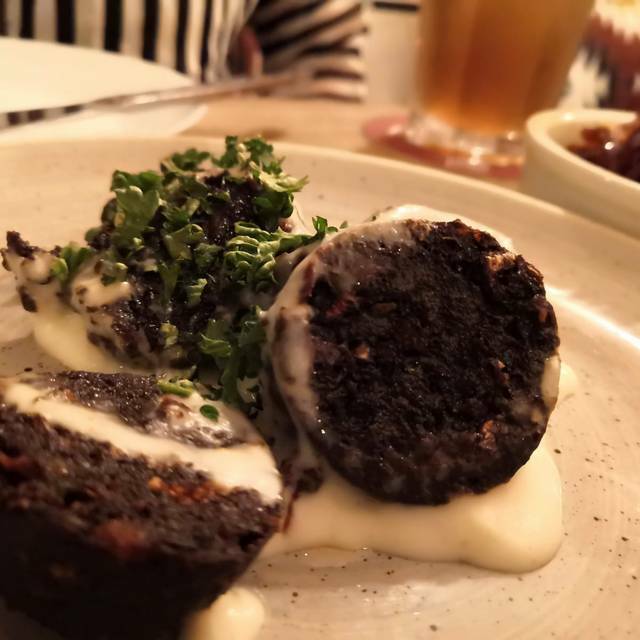 There is a fantastic gin menu for gin lovers and a good selection of beers and a fantastic bottled wheat beer.. Would definitely recommend in my opinion 1 of the best restaurants in the area.. Enjoyed the whole experience. The food was beautiful, lovely atmosphere and attentive servers. Would definitely come back! Was very impressed with quality of food and service. Would recommend and will definitely return.